Back onto a diet of petrol – HubNut – celebrating the average! Ok, so my last post had be considering a move away from petrol. That would be nice but as I don’t have the £32,000 handy to buy the Nissan Leaf I spent a week with (full review still pending) I’ve naturally had to go back to my petrol/diesel bangers. You’d think that the brilliant nature of modern cars would mean I was in for something of a comedown, but not so. On Saturday, I drove all three of my vehicles to fully settle back into the way of things to which I am used. I’ve driven a fair amount of cars over the years, but hopping into my 2CV still fills me with a joy that other cars can’t match. Quite how a French utility wagon designed for carrying sheep, eggs and a couple of farmers across a field is so enjoyable to drive I have no idea. It is very much a car you have to drive, and it lets you know about your swift progress by battering your ears like a Motorhead concert. I’ll be using my new, sound-filtering ear plugs tomorrow to avoid deafness. This afternoon, I set about the less enjoyable task of greasing the various greasy bits. I also adjusted the ride height as it was 1cm lower on the driver’s side – not very flattering for the driver. I’ve been meaning to do that for about a year now. My preparations are because I’m using the 2CV for a 300-mile round-trip to The Midlands. 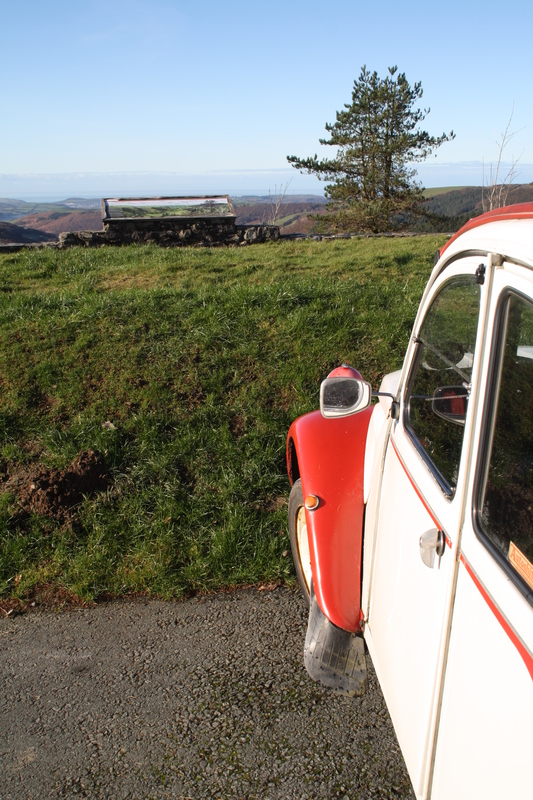 I keep utterly failing to use the 2CV for long-distance trips. I need to get over myself and give her a good run out. After all, she’s without doubt the most comfortable vehicle I own at the moment, if not the most economical (45mpg vs the Sirion’s 50+). My use of the 2CV has really tailed off over the past few years. Incredibly, she clocked up 15,000 miles in one year back in 2005. She was getting a lot of use back then. She’s only covered 1500 miles since June, which is rubbish. Noise has been one big issue restricting the use of her for long trips. My hearing has been damaged over the years and I’m sure it has a lot to do with driving 2CVs. Let’s hope the ear plugs do their thing and that I can properly rediscover the magic of 2CVing. After all, whenever I do a long drive in any of my other cars, I always seem to find myself wishing I’d taken the 2CV.